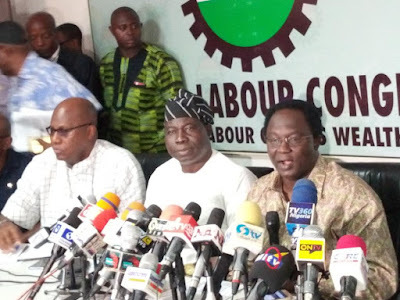 The Nigeria Labour Congress (NLC) wants President Muhammadu Buhari to take urgent steps to address the lingering issue or the new national minimum wage by immediately forwarding an executive bill to the National Assembly to legalise the recommendation of the tripartite Committee. 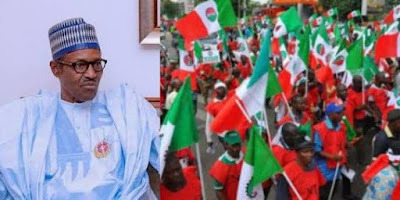 President of Congress, Comrade Ayuba Wabba said Nigerian workers were running out of patience with the government over the delay and we’re getting more and more agitated. The National Minimum wage tripartite committee put in place by the President to review the current N18.000 Minimum wage had two weeks ago presented its report to the president recommending N30,000 as the national minimum wage, but the Nigeria Governors Forum has said they can’t pay the figure presented by the committee. Speaking at the 2018 Harmattan School of the Congress in Abuja, Comrade Wabba said workers are running out of patience on the implementation of the new wage. He described as unfortunate the position being taken by some Governors who are saying they can’t pay the N30.000, but are spending billions of dollars in the name of security votes which they can’t account for. The NLC President dismissed claims that the implementation of the new national Minimum wage would lead to inflation in the country, adding that when salaries of political Office holders was increased by 800 percent in 2008, it did not cause inflation, and wander why just N30.000 for workers can cause inflation. “We don’t know why the president has not transmitted an executive bill, the report of the tripartite committee to the National Assembly for an enactment into law, because Workers patience is running out. “We have maintained that any governor that said he can’t pay the N30.000 should go to his state, gather workers and tell them they are spending billions of dollars in the name of security votes but once it comes to payment of N30.000 Minimum wage, they are saying workers are just 20 percent. “How can they say that because without workers which include health workers, police, army and others, most politicians can’t sleep. Minimum wage is not a favour but a right of a worker because the law states that after 30days, a labourer is worthy of his wage”.